He has the authority to provoke a profound national debate about the nature of US militarism. 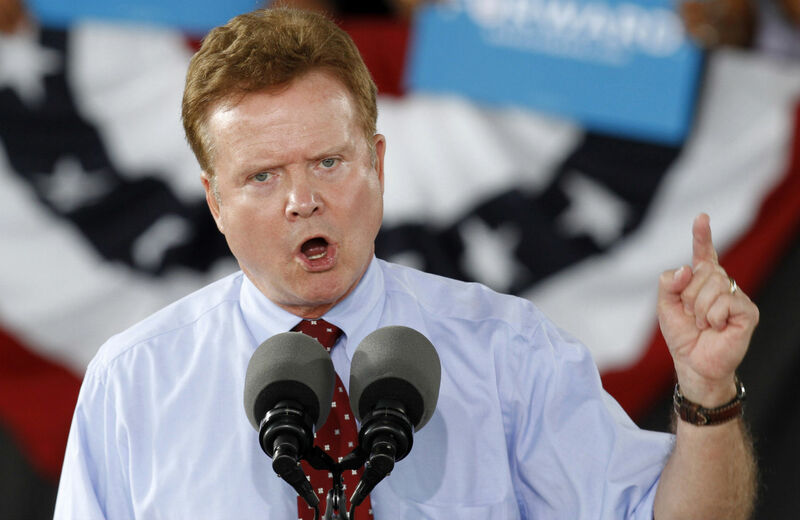 When Jim Webb announced he is thinking seriously about running for president in 2016, it did not exactly excite hearts and minds among the Beltway crowd. The former senator from Virginia was widely regarded as an odd duck who does his own thinking, stubbornly goes his own way. He dropped out of electoral politics after one term in the Senate and resumed his successful career as a writer. Webb’s best-selling novel, Fields of Fire, captured the reality of “the blood-soaked battlefields” of Vietnam where he had fought as a young Marine platoon leader. When others of his generation were mounting massive protests against that war, Webb was throwing grenades at up close Vietcong fighters trying to kill him and his men. He was wounded twice in battle. He was awarded the Navy Cross for his extraordinary heroism. After Vietnam, Webb wrote books and continued his scholarly studies of war-making and national defense. Ronald Reagan appointed him secretary of the Navy though Webb is a working-class Democrat, descended from hardscrabble country people in Arkansas. Instead of becoming more hawkish as defense intellectuals often do when they acquire status and influence, Jim Webb has become more skeptical and critical of how US military force is being used and misused. His biography is what gives his candidacy potential significance. It is not that he has much likelihood of winning the nomination, but Webb has a chance to do something far greater for the country. Given his resume and valor in war, Webb has the authority (and the guts) to provoke a profound national debate about the nature of US militarism. Given the events dragging the United States toward wider war, Americans surely need to hear his insights and arguments. Most politicians and military leaders would not dare touch Webb’s assertions. Their patriotism would be questioned, their careers likely ruined. But no one can challenge Webb’s patriotism or suggest he is driven by careerist ambitions. Military people, both the uniformed ranks and veterans, could recognize Webb is speaking for them and their patriotic commitments. People on the anti-war left, if they listen carefully, can see how Webb’s vision could give political traction to their ideas for shrinking the war-making engine. In 2007, Chris Matthews dubbed him “the anti-war warrior.” That’s a clever label, but it fundamentally misconstrued Jim Webb’s position. He is not anti-war in the classical sense—war fought for history’s long-established justifications or real threats to the nation. What Webb opposes are reckless and limitless interventions the United States has initiated during the post–Cold War era of the last three decades. Webb has laid down caveats for foreign interventions that probably would have kept the United States out of some wars if political and military leaders had listened to him. “An important caveat on how our country should fight the terrorists if they are a direct threat to our national security is: do not occupy foreign territory.” Another Webb warning: “Never get involved in a five-sided argument.” Obama has stumbled into one in the Middle East, unable to state firmly who is on our side and who is our enemy. A glimpse of Webb’s broader intellectual framework can be found online in the stirring book review he wrote for The American Scholar in praise of historian Andrew Bacevich’s seminal work The New American Militarism: How Americans Are Seduced by War. Bacevich and Webb disagree on some points in the critique but they are kindred spirits. Both served in Vietnam, both have sons who went to war in Iraq. Bacevich’s son, Andrew, a 27-year-old platoon leader, was killed there by a suicide bomber. Father and son share the same fate of “picking the wrong war at the wrong time,” the professor wrote afterwards. This buried conflict in national purpose is the essence of America’s dilemma in the world—a self-made trap in which the nation can neither win the endless, borderless conflicts nor get free of the impossible obligations claimed for the US military. As a presidential candidate, Jim Webb would be uniquely positioned to bring this confrontation out of the shadows. He could teach people how to understand the real choices the US faces in its foreign policy and national defense. Like many Vienam veterans, both Webb and Bacevich still harbor smoldering resentment toward their peers who avoided military service. Efforts to reeducate the public are not likely to succeed if they simply revives bitter arguments that divided their generation forty years ago. Webb’s ideas may sound old-fashioned but are actually about changing the future. My expectations for him may just be wishful thinking. But in the broad sweep of American history this is often how fundamental change has occurred. Disruptive new thinking does not usually come from the top down but more often is put in play by fearless individuals like Webb who think for themselves and are sure the people will be with them once they understand what’s at stake. This requires political skills that Webb may or may not have. How does he make himself heard if big media ignores his message? Jim Webb, I acknowledge, is probably not going to become our next president. But he has the possibility of becoming a pivotal messenger. I think of him as a vanguard politician—that rare type who is way out ahead of conventional wisdom and free to express big ideas the media herd regards as taboo. With luck, the country might have two such characters in the 2016 primaries—Jim Webb and Bernie Sanders. In different ways, both are expressing unsanctioned ideas that Americans need to hear. If you follow media chatter, the 2016 contest is already decided for Democrats. The people are ready for Hillary, we are told repeatedly. She has staked out a pro-war position more hawkish than the president’s but smartly aligned with the public’s current enthusiasm for more bombing in the Middle East. But how might folks feel two years from now? Will they turn against war and warrior politicians If plans and promises go unfulfilled? If this new war also begins to seem interminable?